Simply put....the world’s most beautiful stone. 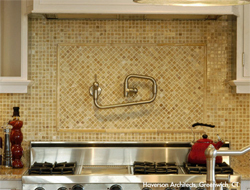 AKDO has been importing the very best natural stone slabs, tiles and handcrafted mosaics for nearly two decades. Our natural stone factories in Europe, coupled with our numerous resources around the world, allow us to offer our customers the very best in both quality and selection. AKDO offers an incredible collection of natural stone tiles, slabs, mosaics and specialty stone in an unrivaled variety of colors and patterns. Our products are ideally suited for aesthetic-focused interiors, including residential, hospitality, and commercial environs. AKDO distributes to-the-trade only, and our products can be found at over 800 of the finest retail and architectural showrooms across the country.